Many homes these days require a first-class HVAC system to keep the temperature inside comfortable during the winter. These machines utilize heat exchangers, otherwise known as HVAC air coils, to replenish the machine regularly. You need to take care of this component to get the most out of your unit. How Do the Coils Work? HVAC coils typically use water and an array of other fluids. It could also utilize refrigerating compounds, steam or water-glycol solutions to exchange heat. Due to the coil’s shape, it makes for the ideal heat exchanger. The cross flow is a defining feature of the coils. These coils are comprised of two separate sides: the cooling coil and the heating coil. For the cooling coil, the chiller does the heat-transferring act. The air mingles with the refrigerant so that the HVAC unit produces cold air to push into the house. On the other side, a heated fluid touches the heating coil to produce hot air. 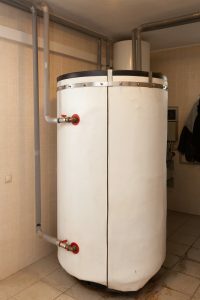 What Are the Uses of an HVAC Coil? Numerous industries now rely on HVAC air coils for everyday operations. They may be a subtle component of the unit, but they play a vital role. As the years go on, developers will continue to find new ways to enhance the capabilities of air conditioning processes and heat exchangers. When Do You Need To Replace a Coil? Anyone reliant on an HVAC system needs to make sure the coils are working properly. If you realize your unit is not producing sufficient cold or hot air, then the problem could be with the coil. You may also want to inspect other parts of the system, such as the filter. When you need a new coil, you need to contact a heating and air conditioning professional near you. Schedule a consultation so that you can be more comfortable inside your own home. If you live in a city prone to cold weather, then you need a viable heater working in your house at all times. Before the temperature really starts to drop, you want to make sure your HVAC system is working properly. During a routine inspection, a professional may find an issue with the oil burner. Over time, the gel can thicken and cause problems. With proper maintenance, you can avoid needing intensive oil burner repairs in the future. You need to be particularly careful if the tank is located outside. It will be directly exposed to the element, so there is an increased risk the gel will thicken. This results in less oil going into the oil burner and creating a blockage in the fuel filter and fuel line. When you suspect you have a blockage somewhere in your system, you need to contact a professional right away. An expert may need to unplug the system and clean out the gel. You do not want to attempt this kind of repair yourself. Regardless of where the tank is located, you can avoid future issues by putting a special blend of oils into the gel ahead of time. This substance generally consists of kerosene, which prevents the gel from thickening. There are various other additives that can help your system avoid thickening. There are other options at your disposal, such as installing a larger fuel line that helps provide better transmission into the burner itself. These are just a few precautions you can take to avoid oil burner repairs later. To see which option is best for you, you should hire an HVAC professional to come out to your home to inspect the system. That way you can get through the winter comfortably. If your HVAC system needs a replacement or upgrade, you might just see dollar signs coming at you. The good news is there are affordable options available to homeowners looking for quality HVAC upgrades. One of those options is implementing tax credits. There are many reasons to upgrade your HVAC system. The following are just a few. Of course there are other reasons as well, so when you notice something is amiss, it’s important to contact the professionals to discuss an immediate upgrade. Tax credits are available for consumers for a variety of reasons. First, the consumer can save on a system that is essential for comfort in their home. Rather than having to pay a large sum of money up front for the HVAC upgrades, a homeowner can get a little help. This makes people more likely to take care of the upgrade in the first place. Upgrades are more energy efficient, which is better for the economy as a whole. Another reason to use the tax credit on your upgrades is because it could save you on monthly costs as well. Your one-time tax credit pays off every month when you pay the energy bill and it is lower than it’s ever been. The first thing you should do to see if you qualify for any tax credits for HVAC upgrades is contact a professional to conduct an assessment of your current system. With their referral in hand, you can see which credits you qualify for and then get to work. Your air conditioner is what keeps you comfortable during those hot months when it’s unbearable to go outside. It can cool you off after a few hours working in the yard or a few days out camping. If your AC unit doesn’t run efficiently, it might not be there for you when you need it most. One of the best things you can do to keep up on maintenance is regular AC coil cleaning. An AC has two coils: the evaporator coil and the condenser coil. There are two of each in every system and they work together to keep your home cool. Air is constantly blowing through the coils in your system. They are exposed to dust, dirt, pollen and other contaminants. When these particles build up on the coils, they become inefficient. Moisture can also collect on them, causing even more of a backup. With dirty coils, it’s not just those components that suffer. Your entire AC system has to run harder to make up for the lack of the coils. It is said that dirty coils cause a unit to use up to 37% more when it comes to the energy required to run the machine. When it works this hard, it’s more likely to become damaged sooner and need a repair. If you have installed a new HVAC system, you have a clean slate to start with. If you purchased an existing home, you should start now. 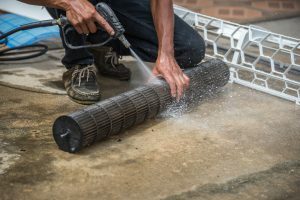 Once a year, contact a professional to come in and offer maintenance on the system, which will include AC coil cleaning. An HVAC professional will use a low pressure compression of air to remove the debris collected in the coils. A soft brush may be used as well, depending on how hard it is to dislodge the debris. As you can see, it’s important to contact your local HVAC professionals to handle your AC coil cleaning each year. Find a company today that can help you with this. Heating and cooling systems are responsible for about half of the average home’s total energy usage, and a faulty system can easily lead to steep utility bills. That makes it crucial that homeowners looking to reduce their energy costs stay on top of regular HVAC maintenance. From monthly filter replacement to duct sealing and annual tune-ups, here are a few ways to ensure your system is working at peak performance. Is your HVAC system older? Is it making noise? Whether there is something wrong with your heating and cooling system or you simply want it inspected, you’ll need a professional contractor to help you. Here are three factors to think about when selecting a contractor. Anyone who has an HVAC system installed in their home, for air conditioning or heating, it’s important that it is working as its prime to ensure you’re comfortable and not spending more money on your bills than is necessary. Here are the top reasons you need regular HVAC repair and maintenance, plus some simple preventative measures you can take to increase the life expectancy of your system. For many people, their home is their castle where the temperature is just right. Often, it’s not until that perfect comfortable level becomes uncomfortable that a heating or cooling system becomes noticeable. While an HVAC repair may eventually be necessary, completing a checklist of a few simple items can keep the hot or cold air flowing smoothly. Split system air conditioning is an energy-efficient alternative to traditional cooling systems that utilize ducts or involve window units. Not only do they work just as well or even better than other systems, but they cut down on noise and wasted energy. Cooling systems involving ducts lose quite a bit of energy due to heat exchange as the air travels through the ducts to reach various parts of your home. A split system eliminates this wasted energy by installing the unit that houses the compressor, condenser coil, and expansion coil directly outside the room being cooled. The outside unit is then connected to the inside unit, which releases the air into the room. It’s an extremely cost-effective way to cool rooms that have no ducts or to cool only certain rooms in a home as opposed to the entire house.